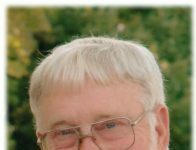 Graveside services for Duane Leland Flood, son of the late Roy Flood and Anna Jansen Flood, will be at 11 a.m. Saturday, May 19 at Redburn Cemetery, Rover, under the direction of Carter Funeral Home, Inc., West Plains. 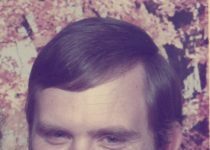 Duane was born July 3, 1931, in the state of Iowa and was called home to be with his Lord May 14, 2018, at the age of 86 years. In June 1949, he married the love of his life, Peggy Baty, and shortly after, graduated from Moark Baptist College and became an ordained Southern Baptist preacher. 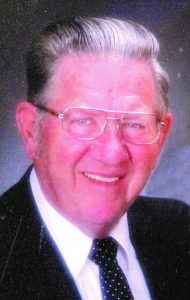 For more than 60 years he led souls to the Lord, preaching many sermons and officiating at weddings and funerals. He spread God’s word to everyone he met, even strangers were subject to Duane’s favorite question, “Are you a Christian?” And no matter the answer, he would preach to them as long as they would listen. He truly was a servant of Jesus Christ our Lord. Even though a full-time pastor, his other working career was spent at the International Shoe Factory for over 40 years before retiring. He is survived by his wife of 68 years, Peggy; five children, Janet Myers and husband Ronald, Allen Flood, Kenny Flood and wife, Sandi, Vicky Rutter, and Donna Dennis, husband Shane; two brothers, Merle Flood, and Bruce Flood and wife Betty Ann; 11 grandchildren; 19 great-grandchildren and one on the way; four great-great-grandchildren and one on the way; and the staff of Autumn Oaks Caring Center in Mtn. Grove who all called him Grandpa. He is preceded in death by his parents; his mother-in-law and father-in-law, William and Lillie Baty; one brother, James Flood; two grandsons, Brian and Jimmy Flood. 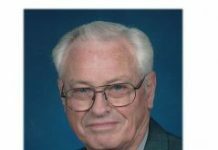 In lieu of flowers, memorial contributions may be made to the family and left at Carter Funeral Home, West Plains.